I cannot believe that I have been writing this blog for the past three years already. I started this blog in July of 2005, with the primary intent of chronicling my adventures as a graduate student in a foreign country. Since then, it has taken a traveling flavor, due to the fact that I find myself in different countries once in a blue moon. So those were the previous ones in my list. As you have noticed, I haven't been to any of those recently, so it still is in my list. And just so you know, my latest trip to Peru was from the first list, so by now, I have crossed off two destinations from my original list, namely, Ecuador and Peru. For my third supplement of this list, I am taking a rather different turn. Instead of asking the readers to identify where the places are, I would state them myself. However, there is a major difference to the following destinations that you would see. When I was in Peru, I discovered the joys of overland travel. You know, the tour that doesn't consist of just staying in one city and lodging in one hotel. Instead, you land at an airport, stay in a city, and then continue on, by land, traveling inside the host country. So yes, the following trip ideas all involve overland travel, sometimes, even crossing international borders. Oh, by the way, all the pictures here are NOT mine. And I never claim ownership to them. This trip starts in Bangkok and ends in Luang Prabang. One can start in the Thai capital, exploring the temples and the other sites that Bangkok has to offer. You can for example visit the temple of the reclining Buddha. Then you can go overland and visit the Ayutthaya complex of ruins and temples, all reachable by bus or train from the capital. Then one can proceed north, visiting cities like Nakhon Ratchasima and Udon Thani. Then one crosses the river and then enters the country of Laos. The capital, Vientiane, is very near from the border. One can explore the Buddhist stupas and other structures in the capital. From there, one can proceed to Luang Prabang, a rather calm and peaceful town north of the capital, with plenty of hidden temples to explore. But before heading there, one can take a detour to Xiangkhouang and wonder about the gigantic jars that are scattered among the fields. 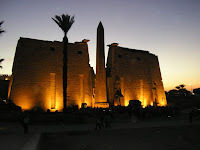 This trip takes one from the Egyptian capital and ends in Luxor, another major city in Egypt. 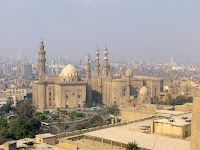 One can start in Cairo, and explore the plenty of tourist sites that the city has to offer. The city happens to be the largest Arab city, complete with mosques, bazaars, and opera houses. A trip to the Egyptian capital is not complete without an excursion to visit the pyramids of Giza and the Sphinx as well. These archaeological sites are very near the capital and can be visited as a day trip. From there, one proceeds southward to Luxor, where most of the Egyptian diggings are concentrated. The tomb of Tuthankhamun was discovered in the early 1900's in this city. So this is the best city to satisfy your Egyptian fever. Finally, one should visit the Valley of the Kings and the Valley of the Queens. Most of these are excavations that yielded plenty of Egyptian artifacts. So one should visit this if one is really into archaeology, or even if one simply wants to pretend that he is Indiana Jones in real life. This trip takes one across the stretch of the Uzbek territory. It starts from the capital, and takes one across the country to visit the cities designated as World Heritage sites. 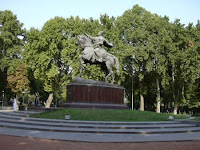 One can sight-see in Tashkent, seeing for example the statue of Amir Timur, and then visit the museums that the capital has to offer. 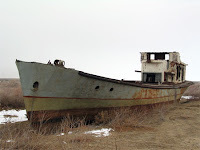 Then, one can take a flight to Nukus, and from there, head to Moynaq, the town that used to be on the shores of the Aral Sea. Then, one can head eastward, to Khiva, which houses the World Heritage Site of Itchan Kala. There are a number of other buildings of Persian architecture here, including madrassas and mosques. 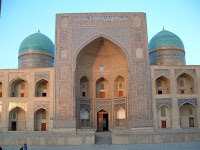 The next stop would be Bukhara, which used to be one of the centers of Turkic civilization back in the days. This city has a historic center which is again, listed in the UNESCO World Heritage Sites. Finally, one heads to Samarqand, which, according to some, is the most beautiful city in Central Asia, with Registan, the square that has three Persian-inspired buildings standing right next to each other, and a square in the middle of it. One feels that one is in the middle of a surreal world if one stands in the middle. Finally, one heads back to Tashkent and the trip ends. I am not sure whether this trip can be done independently, since as far as I know, Uzbek authorities are not too reluctant to open up their country yet, so one might need a travel agency to do this trip. However, I am pretty sure that the experience would be more than amazing. This one begins in the Lithuanian capital of Vilnius. The city is a unique one, due to the fact that it has Soviet histories and modernist tendencies as well. One can spend a few days here, before proceeding to Kaunas, which is another major city in the country. The major thing to visit here is the castle, and if one wishes, one can make a detour westward to see the Curonian Spit. Afterwards, one can head north, passing through Siauliai, which is famous for its Hill of Crosses. Then, one proceeds to Riga, whose historic center is a World Heritage Site, like the one in Vilnius. 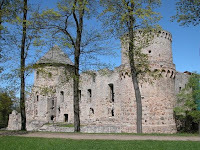 After spending a few days in the Latvian capital, one can head to Cesis to visit the castle there. And then, one crosses the border again, and this time, visits the Estonian city of Tartu. This city is considered the cultural center of Estonia. When you get tired of this, then proceed to Tallinn, which is the capital. Visit the historic center, and explore this northern European city. This trip takes you into three different countries, each of them reachable by a superb network of trains and buses. I suppose one can do this within two to three weeks. I understand if Iran may not be the topmost entry in anyone's destination list; after all, some country's president called it a member of the "axis-of-evil". However, evil or not, there are plenty of things that can be seen in this beautiful country. One must start in the capital, Tehran. There are plenty of architectural wonders to be seen here, including the Azadi Square. Aside from that, one can visit plenty of fire temples, mosques, and other places. 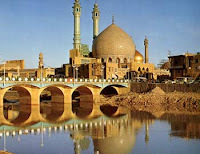 One then proceeds to Qom, which is Iran's second most sacred city after Mashhad. Plenty of mosques and shrines abound. After enjoying the city, one can then proceed to Isfahan, which has one of the largest squares in the world, the Naqsh-e Jahan Square. Plenty of buildings around the square were built in the Safavid era. One can see plenty of Persian buildings, and observe how intricately they were constructed. Finally, one can head further south to Shiraz, which is another beautiful city, and nearby Persepolis. This happened to be the capital of the Persian empire, and plenty of beautiful ruins abound. 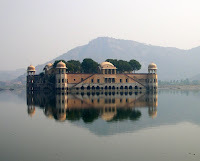 I suppose this is the most traveled itinerary within India, exploring Delhi and Rajasthan. One starts in the Indian capital, where plenty of temples and forts are present. Of course, Taj Mahal in Agra is nearby, and one shouldn't miss the opportunity of visiting it. One then travels by train to Jaipur, which is filled with breath-taking temples, forts, and museums. 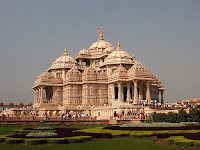 One can then proceed westward to Jodhpur, which has Mehrangarh Fort and Jaswant Thada. 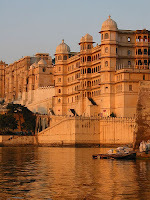 Finally, one can proceed to Udaipur, which is said to be the wedding capital of India. This city is famous for its Rajput-era palaces, and there are plenty of sites to see around Lake Pichola. If one is fortunate, one can even join an Indian wedding and partake in the festivities. Getting back is easy, since Udaipur has an airport that links back to Delhi, and so are the other cities along the way. This trip can be extend as long as one wants, depending on how much time one wants to spend in each of the cities along the way. So there, those are just six trips that I want to take in the not-so-near future. And as I said before, all involve overland travel. I personally believe that one simply has more things to see if one travels this way. One gets in touch with the country better, and has a better experience if one digs deeper. You may have noticed that I don't have an itinerary in the Americas this time. I supposed I have had my fill of them, after all, I visited South America for two straight years. Most of the trips above are in Asia, since yes, I am Asian, but the fact of the matter is, I haven't been to the Asian mainland. There is only one trip in Europe (well, actually, I was planning to include another trip in Andalusia, but I figured this entry is getting too long), and one trip in Africa (I have to admit, animals don't really get me off). I suppose I am just an architecture-slash-history buff, that's why I prefer these trips over others. So there, that's my third version of my itchy feet, I wonder when I would actually go to these trips. If I'll do, I am pretty sure I will have at least a gigabyte's worth of pictures upon my return. I like overland travel too - that's how I did in in Latin America. It's usually cheaper too. I haven't been to any of these specific places (been to Brazil but not to Salvador etc.) but they sound good.